There are several types of window shutters for your home that can make a dramatic improvement to the overall look and feel of the space. There are exterior and interior shutters that can make a positive change in your home’s aesthetic. Historically, board and batten shutters served a double purpose. They provided an extra level of security while offering the inhabitants of a home a little extra privacy. Today, these shutters will work with several types of windows but create the best look when used with arched windows. Individual boards are joined together and shaped, then they are connected with crosspieces that are shorter and stretch the horizontal length of the shutter. These are called battens. Board and batten custom shutters can be created using several different types of materials. When the time comes to make a decision for your home, take into consideration the type of material on the exterior of the structure and how these two are going to be paired together. Why not take traditional shutters and take them to a whole new level? Cut out shutters features shapes that are actually cut out from the material. Homeowners can choose from a variety of shapes, and some even choose the first letter of their last name to really personalize their space. Ships and stars are commonly found shapes, along with different geometric shapes that add just the right amount of detailing. These types of custom shutters were popular during the 1920s. 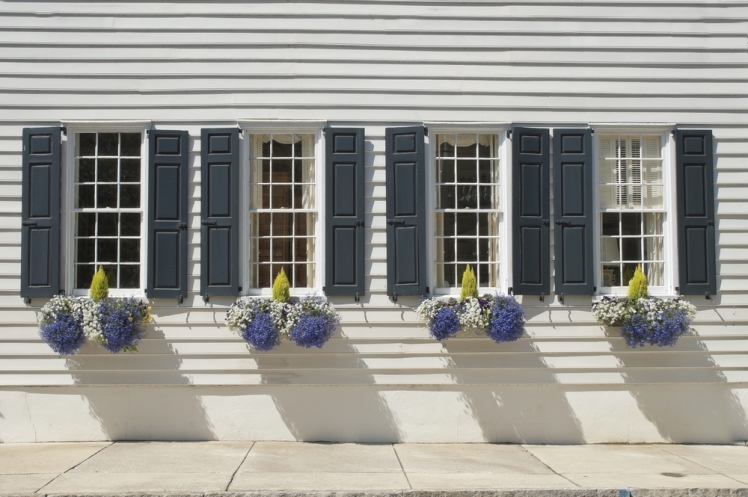 When you think about traditional shutters, the louvered style often comes to mind. It is one of the most common, classic types of window shutters for your home. Part of the reason for their popularity is the fact that louvered shutters often work well with different architectural styles. Each louvered shutter features slats that are horizontal. They can be moved to allow light inside and even bring in some fresh air. The slats can also be closed to keep out light and add some privacy. These custom shutters can be made from a variety of different materials and come in loads of different colors and stains. There are also a few different mechanisms that can be used to open and close all of the slats at one time. If you want a look that pays tribute to the laid-back South, custom plantation shutters are perfect. Each set features wider louvers that can be opened and closed, depending on the desires of the homeowner. When closed, they decrease the amount of light allowed into a space and can offer some protection from inclement weather, protecting the windows they cover. 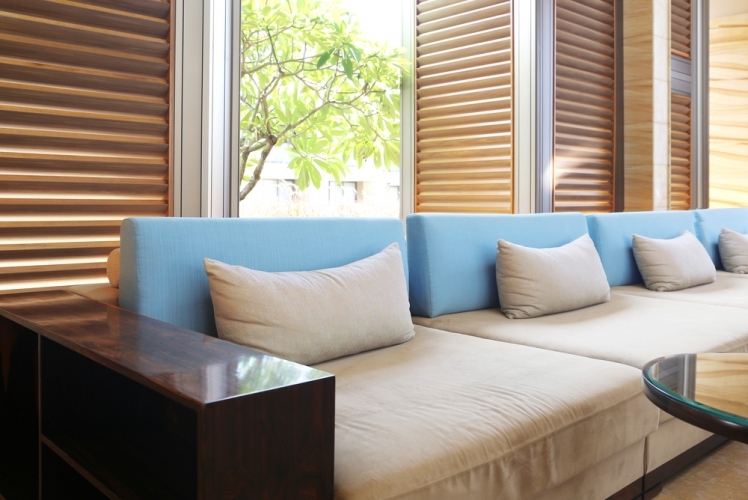 If a warm breeze is passing by, these shutters can be opened to allow in some fresh air. Looking for custom plantation shutters for the interior of a home? California types of window shutters for your home offer a similar appeal. Sometimes simple-looking wooden shutters are the best choice for a home. The raised panel shutters feature two raised panels on each shutter. The panels tend to create a more dimensional look while still working with several different styles of homes. They have a hint of formality paired with an inviting style. Like other types of window shutters on the exterior of a home, they are offered in several different types of materials, and they come in various colors as well. To take windows to the next level, consider adding a small window box between the shutters and below the window. This brings in additional color and depth to the look of the exterior of a home. Today, these types of shutters are often in place more for an aesthetic appeal than actual use. Sometimes combining two of the shutter styles into one produces something amazing. This is the case with the Scandinavian shutters. They are board and batten shutters that have different cut outs on the surface, creating a unique and interesting look. The cut outs are made even more aesthetically pleasing with bright colors. These types of window shutters for your home are often closed when the time comes to keep out the sound of strong winds whipping by the house. You often find this style in areas with lots of snow as the colors really stand out against the cold landscape. Sometimes it can be too difficult to pick out just one type of window shutters. Instead, homeowners can opt for combination shutters that bring together two different styles. Scandinavian shutters are a perfect example of blending two different things into one beautiful look. This is an ideal choice for homeowners who are interested in customizing their own space, adding a bit of personality to the exterior of their home. Shutters inside the home tend to work a little differently than those found on the exterior. The materials don’t need to be able to stand up to the elements, and they can have a more delicate look and feel if desired. Café-style shutters are unique in that they don’t cover the entire window. Instead, they focus on offering coverage for the lower half of the window only. The portion that is covered is usually louvered. This allows lots of natural light to make its way into the space but still gives cafe patrons (or homeowners enjoying a meal in the breakfast nook) a little extra privacy. Shutters in California need to be able to filter out some of that bright sunshine. Just like plantation shutters on the exterior of a home, California shutters have wide, horizontal louvers that can be controlled to let in more or less light. When open, they can open up a space and allow natural light to permeate the area. In the middle of the day, they can be used to block out the sun and help create additional privacy. The California style can be found in wooden shutters or shutters of other materials, depending on the look and the budget of the homeowner. The traditional Shaker style is characterized by the beliefs of the people who originally participated in the Shaker religious movement. Their guiding principles were simplicity, honesty, and utility. It’s easy to see each of these features in Shaker window shutters. Solid panels, sometimes with a raised portion, are simple, without a lot of adornment or detailing. They work to block out light and are folded back when the time comes to brighten up a room. If you aren’t convinced that the plain Shaker types of window shutters for your home are ideal for your space, consider looking for shutters that are half Shaker and half louvered. This gives you the best of both worlds and adds a little versatility to your custom shutters.